War Resisters' International, Amnesty International, Connection e.V. and World Without War are petitioning the South Korean Defence Minister, General Han Min-Koo 한민구, calling upon his government to immediately and unconditionally release all conscientious objectors; recognise conscientious objection as a human right inherent to the right to freedom of thought, conscience and religion; make appropriate provision for conscientious objectors to military service; and to clear the criminal records and provide compensation for conscientious objectors who have been imprisoned for refusing military service in the past. Sign it online here and download a paper version here. 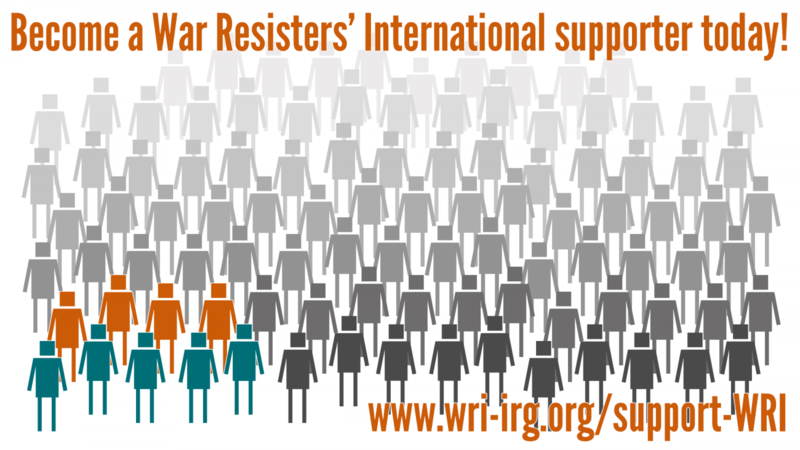 This petition should be returned to War Resisters' International at 5 Caledonian Road, London, N1 9DX, or a scan can emailed to us at hannah@wri-irg.org by Monday 16th November 16th, in order to be submitted to the Minister of National Defence on 1 December, Prisoners for Peace day.